Alex has now turned his attention to music production and is well in his element surrounded by his beloved instruments in his home studio. After much conspiracy research and understanding more about the true nature of this reality, Alex has used his talents to write conspiracy music about the flat earth, gravity, satellites, the moon landing hoax, the so called ‘photos’ of earth and more. 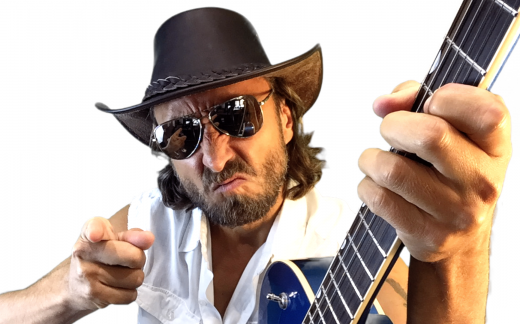 Alex created the character ‘Flat Earth Man’ for his music videos and songs, the character is a larger than life animated country dude who clearly has a lot to say, and often says it or sings it with very humorous results!